How about a fair and square deal on an organic promo gift for your customers? These custom Bloom Kits contain everything needed to grow herbs, flowers, food and cultivate your brand! Just open, water and watch these plants grow! These promotional planters are made from eco-friendly pinewood, 100% biodegradable and a great “green” giveaway because all seeds are non-GMO and the soil and fertilizer are approved by the Organic Material Review Institute. In addition, all ingredients are sourced from USA suppliers. This indoor growing kit will promote the freshness of your ideas, grow customer loyalty, help celebrate Earth Day, provide a unique housewarming gift, reflect sustainability and remain constant advertising on a window sill at home or on a work desk. 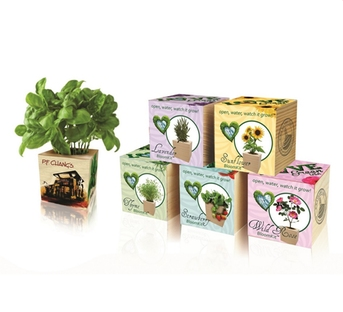 Just plant, water and place your plant cube in a bright, sunny location. In a few days the new plant comes to life, and customers will see their seeds germinating and growing until they need to be re-potted in a couple of months. Then, all they need to do is bury the entire cube in a larger pot and cover with soil. 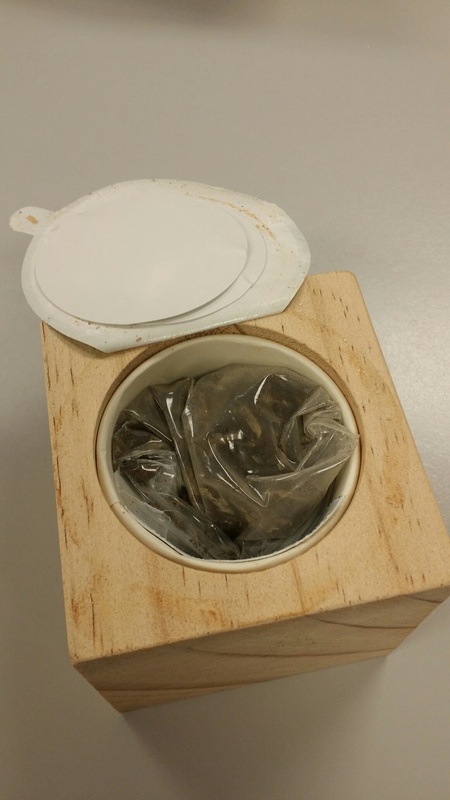 The cube is made of 100% biodegradable material and will decompose into valuable fertilizer for the plant. 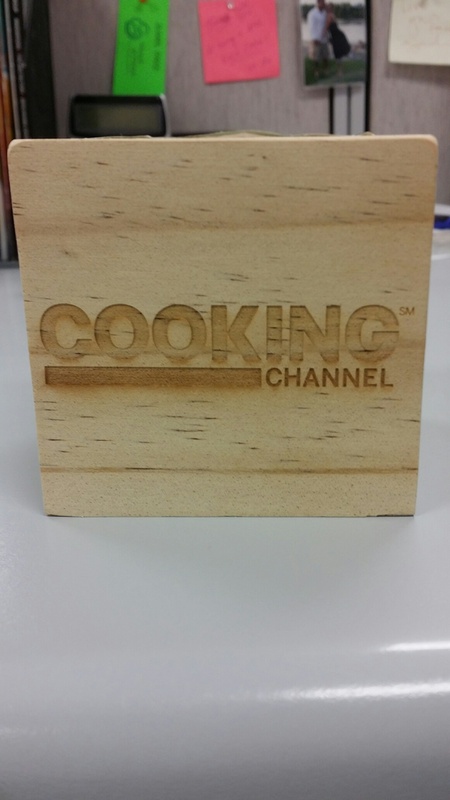 These gift-boxed cubes are self-contained. 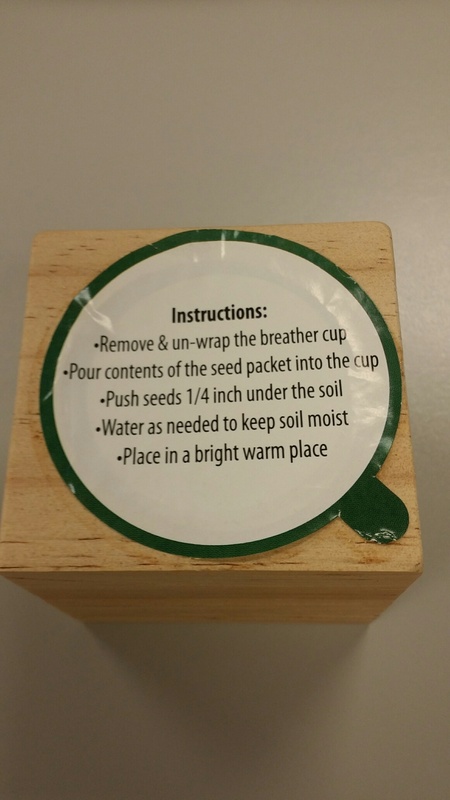 Inside the box is a biodegradable bag filled with the planter, OMRI approved soil, fertilizer and a packet of seeds…. An entire package that has a shelf life of up to 18 months when stored in dry conditions. The full-color packaging is artwork spotlighting the seed choice and boldly displaying your logo. Inside you’ll also find your logo on the front side of the wooden planter. The three-inch imprint area is large enough for your laser-engraved logo, website address and phone number. Contact an ePromos Brand Consultant to discover how you may customize all sides of the cardboard cube…providing plenty of space for your promotional message.